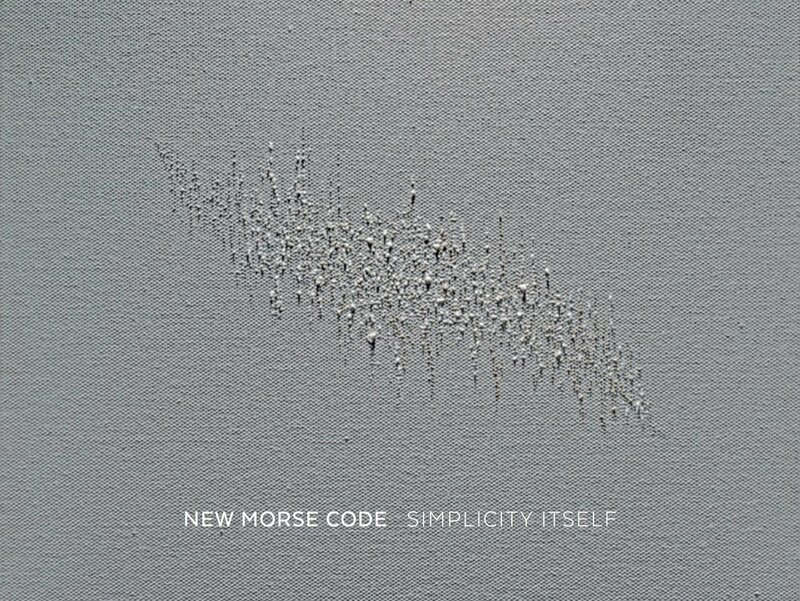 New Morse Code Presents: "Simplicity Itself"
New Morse Code's first album, "Simplicity Itself," is being releasd September 22nd on New Focus Recordings. Come out to the Cider Gallery for a special PRE-Release this evening at the Gallery! This event will celebrate the music and collaborations within the album with musical performances by Tonia Ko, Robert Honstein, and Caroline Shaw. So bring a friend to join you in tonight's festivities and listen to New Morse Code's first album. Yuri Zupancic is an artist from Dodge City, KS who divides his time between Paris, France and Lawrence, KS. Currently, Yuri spends most of his time working in Paris and Berlin. Yuri Zupancic is a mixed media artist who currently serves as the Art Director and Curator at William Burroughs Communication. He is also a co-founder of Fresh Produce Art Collective and DotDotDot Artspace in Lawrence. His accomplishments are many, including mentions in major magazines such as Wired, Juxtapoz, and the Huffington Post, and he has been internationally recognized for these achievements. Born in 1980 in Dodge City, Kansas, Yuri was largely self-taught as an artist. His works can be described as mixed media art that combines oil painting and recycled technological components. Represented by Galerie KO21 in Paris, his works have shown in such cities as Berlin, Sydney, and major art locales of London, Paris, and New York. In association with his work in France, Yuri works with the Estate of William S. Burroughs to promote the author’s artistic and literary legacy throughout the United States and the world. This influence reaches to include exhibitions that have shown at the Pompidou Center and the Royal Academy of the Arts in London. Each of his artworks has a narrative; that of the conflict and the amalgamation of nature and technology. Yuri takes this subject to new heights by using the technology as his “canvas.” By doing so, he physically imprints technology with nature. His works features painted images that are organic in subject or form, often flora or plant matter, situated upon computer components such as: microchips, circuit boards, and sound cards. 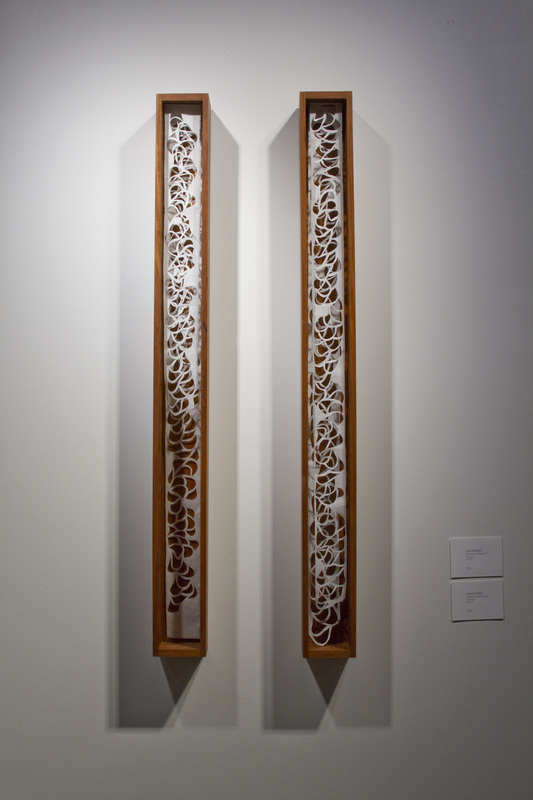 Some of these pieces feature a living element, where physical plants grow from within the artwork; it is these pieces that most closely reflect his stated ideology of “the spaces between.” These spaces represent a state that can be described as a node of connectivity that mirrors the inner mappings of the human brain. Spreading Seeds, oil on microchip, 3 x 1.5 cm. Newlywebd, oil paint and assemblage on circuit boards. Silicon Mountain, electronic waste sculpture with miniature paintings in oil, silicon, metal leaf on microchips. 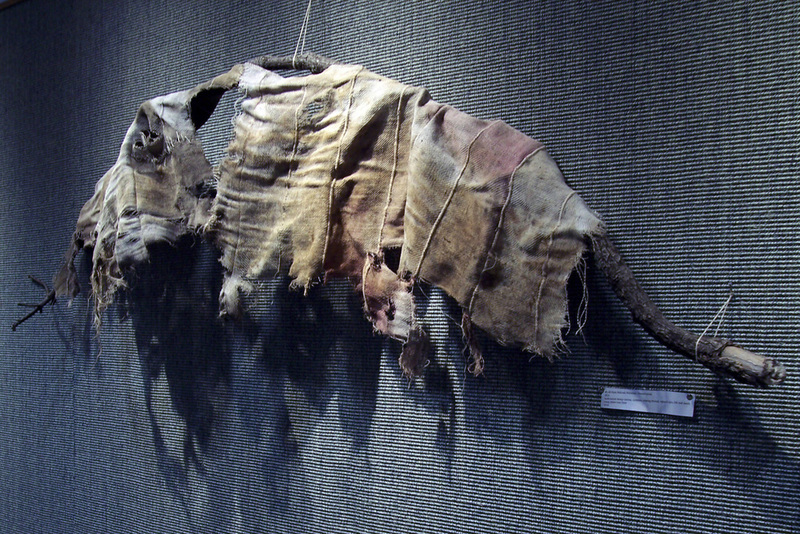 Exhibited at AKAA 2016, Carreau du Temple, Paris. One Week Left for Re: Solution /// A Group Exhibition! Re: Solution /// A Group Exhibition is open for one more week! Be sure to come by between Tuesday and Friday from 1-5 to check out incredible artwork. Jeromy Morris is not only the curator of the Cider Gallery and the director at SeedCo Studios, he is also a mixed media artist living and working in Lawrence, KS. Jeromy Morris was born in Denver, CO and he received his Bachelor’s degree in Visual Communications and Graphic Design from the University of Kansas. Since that time, he has co-founded the Fresh Produce Art Collective, is the Director at SeedCo Studios (a venue that merges art and music which was founded by the Fresh Produce Art Collective) and is our very own curator here at the Cider Gallery. 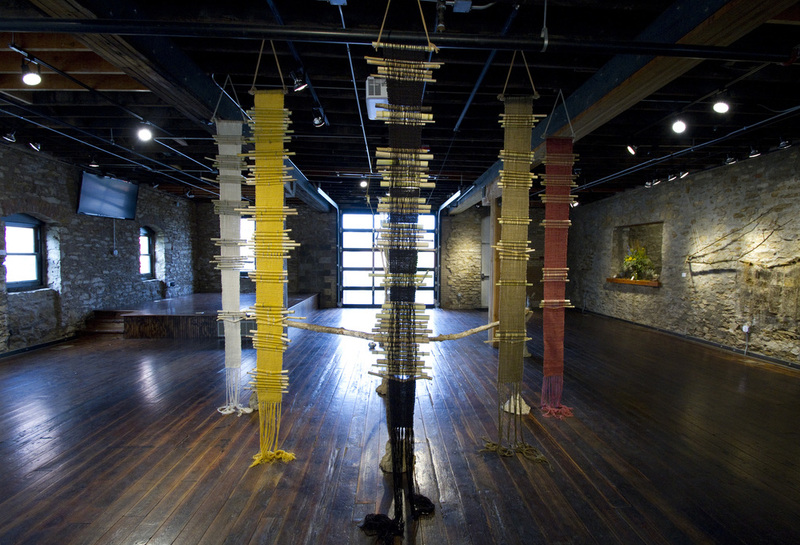 Morris has shown in a variety of galleries and special exhibitions, such as the show: “More Than Meets the Eye,” a collaboration with John Sebelius at the Cider Gallery in 2014. 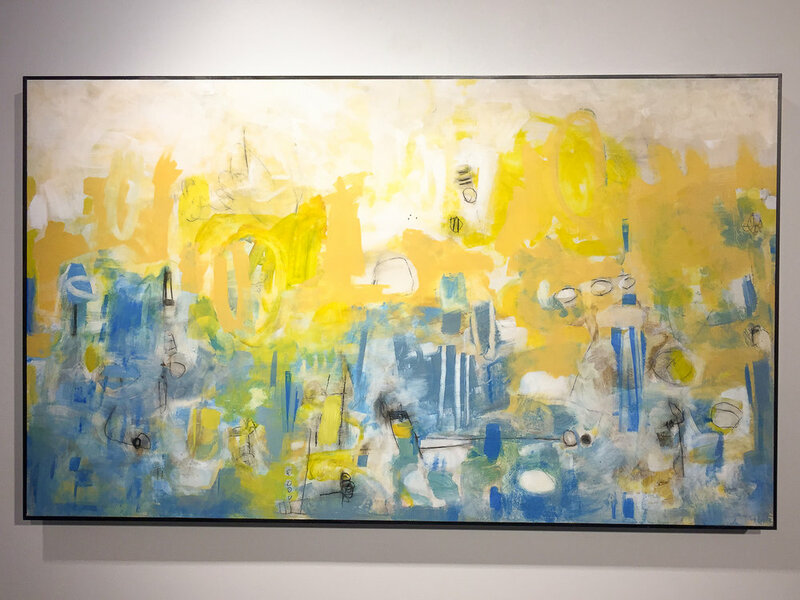 Most recently, he is participating in the current exhibition at the Cider Gallery, “Re: Solution,” with fellow Fresh Produce Art Collective artists: Jeremy Rockwell, Erok Johanssen, and Yuri Zupancic. His artwork, which has been featured in numerous private collections, emphasizes the relationship between two or more disparate mediums. In this way, Morris finds inspiration through his exploration of multiple mediums that are continually infused with movement and emotion. This tendency toward movement is especially obvious in his video art and installation pieces. Despite this, he is most known for his two-dimensional works on panels. These two-dimensional works often emphasize mood and the recollection of memory. They are a motley of various materials. Epoxy, acrylic, toner transfers, spray paint, and found objects vie for space on found-wood pieces or panels. Morris’ works are primarily inspired by the interactions between opposing forces; consumerism and advertising are pitted against urban ruins and the forces that exist between nature and industry. "Rome." Mixed media on panel. "Nocturnal Mandala." Mixed media (toner transfer, spray paint, acrylic, polar panoramic) on wood. "Ferris Wheel." Mixed media on wood. Don't forget to visit: www.freshproduceartcollective.com and www.seedcostudios.com for more information. The Lawrence Arts Center is presenting an evening of works by Jeremy Moss (film maker) and Pamela Vail (dancer). The event will take place at the Cider Gallery on Monday, December 5th at 7 pm and is FREE and open to the public. More details are given in the post below.
" Movement Material is a 60 minute program of video, 16mm projection, and live performance that highlight transfigurative gestures via the collision of camera and dance. This program explores the roles and functions of both the cinematographer (Jeremy Moss) and the dancer (Pamela Vail) while engaging questions of space, movement, and the ways in which the frame and the cut create alternate walls and rhythms." Thank you to everyone who came by this past weekend for Final Fridays! We were extremely happy with the turnout and so excited to continue to have this show up until the end of November. 'This Must Be The Place' includes photography by Troy Moth and Adam Smith. The two artists are good friends that travel the world together while photographing the grandeur of nature along the way. All of the photographs in the gallery can be purchased in three sizes: 16"x24", 24"x36" and "40x"60". Cider Gallery. Tuesday-Friday. 1-5pm. 810 Pennsylvania. The work above is 'Buffalo 01' by Troy Moth. One of our favorite aspects of this month's show is the unique way Susan Grace's paintings and Kyle Batson's photography compliment one another. Both artists have successfully captured fragments of everyday life, from images of ordinary places to capturing moments of human interaction. There are many connections that can be made while viewing the entire show. Although they differ in subject matter the connection of color and line allow these two works to be uniquely cohesive. Kyle Batson's photo on the left is titled Santa Carne (Holly Flesh) and Susan Grace's painting on the right is titled Watermark #1. Stop by the Cider Gallery Tuesday-Friday, 1-5pm. This show will be up all October long. We're setting up for our October show which features paintings by Susan Grace and photographs by Kyle Batson. The show is titled "Fragments" and opens this Friday, September 30th at 5pm. The end of September is full of goodbyes and hellos as we say goodbye to the summer heat and Jen Unekis’ Playing with Pauses this week. Stop by today during our gallery hours to see this incredible body work one last time. Join us next week, during Final Fridays, to say hello to our next show Fragments: Works by Susan Grace and Kyle Batson. As the month comes to a close we are also eager (and a little bit impatient) to welcome the crisp fall air and East Lawrence's new neighborhood cafe Bon Bon. There's still time to vote for us!! We're nominated under the Community Category- Art Gallery and "Places to hold an event." Voting goes until Feb. 29!!! Just an announcement about Gallery viewing hours this week! Due to the installation of our new show, 701 Louisiana, the Cider gallery will be closed for viewing. That will be Tuesday February 23- Friday February 26, the gallery will be closed during regular viewing hours. The Gallery will reopen on February 26 @ 5 pm for the opening of our new show. A quiet day at the gallery...come hang out with us and see our current group show, Rotation. Gallery will be open until 5 pm.